Some people think that wireless headphones aren’t good for the best audio quality. They believe that because it is wireless, somewhere along the way quality has to drop. Others aren’t so picky and don’t even notice any sound difference. 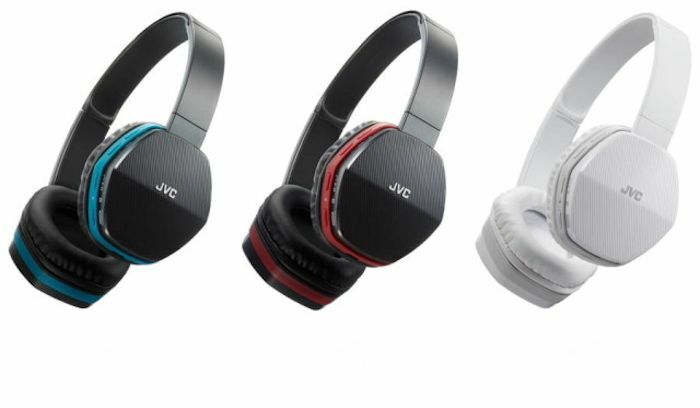 And for those people, JVC has two new wireless headphones for you to try out. The company recently announced the HA-SBT5 Bluetooth on-ear headphones and the HA-EBT5 splashproofBluetooth sports headphones. The former is the the larger of the two, and our focus here. People who prefer headphones over in-ear headphones will want to check this one out. They have some nice features. These are on-ear headphones, so they will rest on your ears. Just so we are clear. They should still be comfortable since according to JVC, its weight is just 5.5 ounces. That’s pretty impressive and I bet they would be very comfortable at that weight. You may not even feel that you have them on. It features a bass boost function and a rechargeable battery that’s good for 10 hours too. Those are also good features. It comes with a remote/mic that is compatible with mobile devices. This one is priced at $59.95. That’s not a bad price for those features.